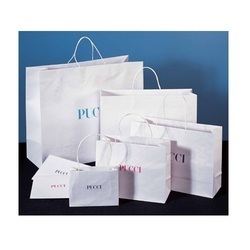 Offering you a complete choice of products which include custom bleached kraft bag and promotional paper bag. 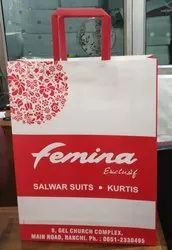 Single Color Printed bleached kraft bag with red flat handle. Made in high b.f. imported bleached kraft paper. Bleached kraft Paper Bags in multiple sizes for shopping , grocery and Promotions at events. Made in high GSM , and high b.f. . Contact for bulk manufacturing.